PSP Marine tapes have just introduced a new roll version of their anti-chafe tape. 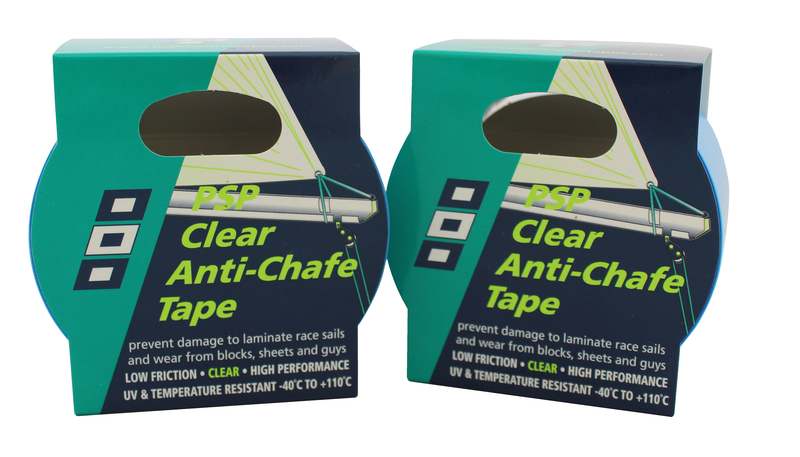 Anti-chafe tape is the ultimate solution to protect paintwork and gel coat from wear from sheets, lines and ropes. It can be used in a variety of applications, such as onto mast and spreaders, guard rails, under the boom and around the pad eyes, blocks and deck hardware. This high performance tape is supplied with a throw-away blue backing sheet ideal to cut to shape and install on all surfaces that may be damaged from rope burns. These include cockpit coamings, gunwale edges etc. It can also be applied in areas coming into contact with sails, easing passage on a tack or gybe and reducing wear and damage by reducing friction. 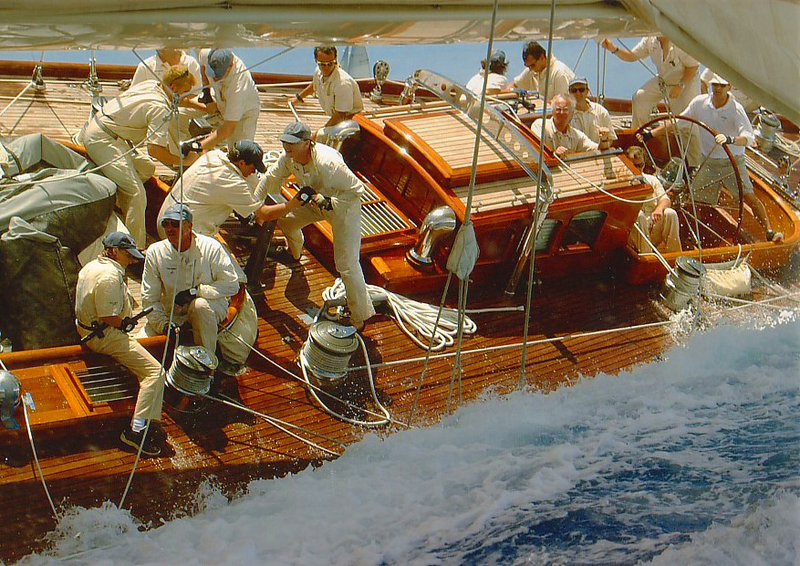 It has the benefit of being very low friction, allowing sails and ropes to run smoothly over the surface. It is clear, offering a discreet choice to protect against friction rubs. This tape will stand up to the elements to provide protection in the harshest environments and is UV and temperature resistant, from -40 degrees to 110 degrees centigrade, so this tape will not fail when it really matters. Application is simple – ensure the surface is clean and dry, cut to shape, remove the blue liner from the tape and press down firmly from the centre, making sure to remove all air bubbles. PSP Marine Tapes have produced a tape to protect expensive race sails from wear by reducing friction on contact points of the rig. 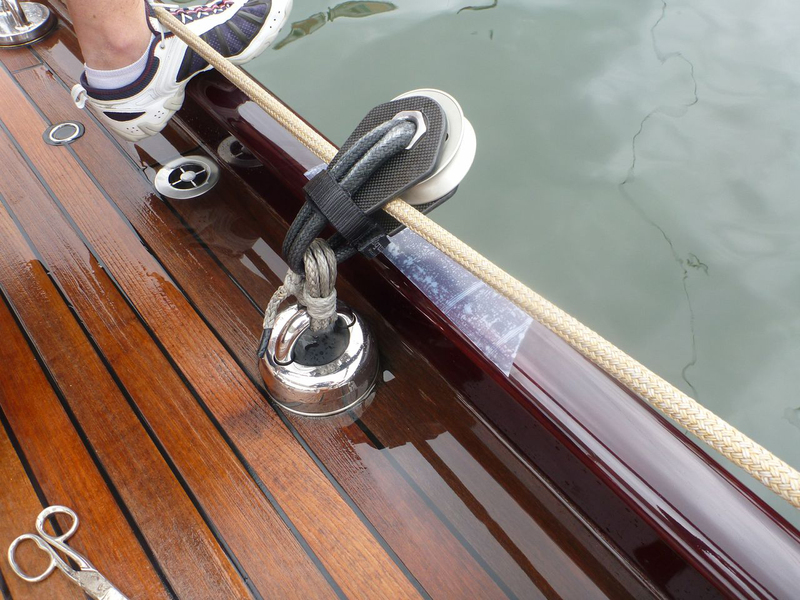 Unlike anti chafe, rig wrap is supplied self wound (without a liner) and will stretch to coil wrap around standing rigging, terminals, forestay, backstay, spinnaker poles, spreaders and any other areas of contact, preventing wear to sails and friction to sheets and guys etc. The tape will stretch and coil wrap around all areas on board. 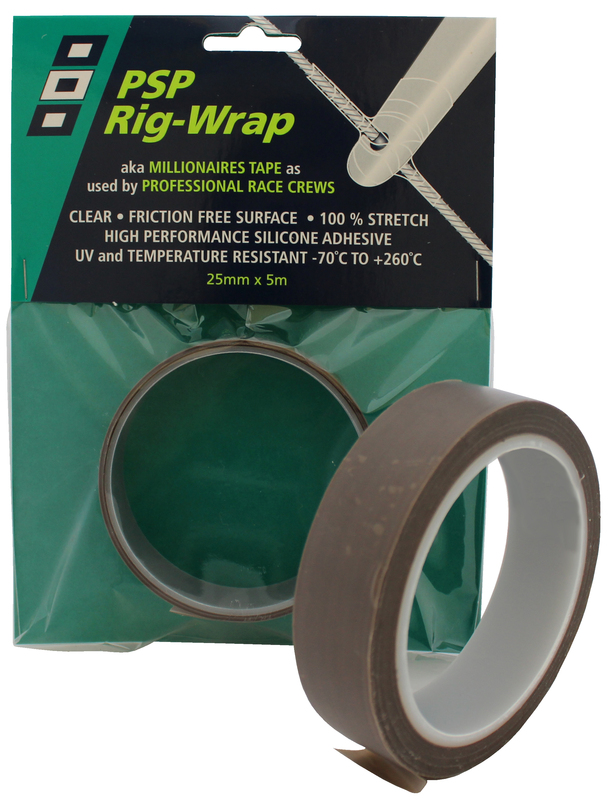 This tape has also been referred to as ‘Millionaire’s Tape’ as it was previously very expensive and available only through the trade and to professional race crews in long industrial trade length rolls. It has now been made available to all, through PSP. The friction free surface allows sails or sheets under pressure to slide effortlessly past, reducing wear or damage. The tape is clear/opaque, so there are no unsightly bright colours drawing attention to tape protected areas. The PTFE film is both UV and temperature resistant and the silicon adhesive enables the tape to operate in temperatures ranging from -70 degrees to 260 degrees centigrade. The tape can be removed without leaving any sticky residues.